Join us for the Second Annual Carey-Fuller Conference, February 2019! Our concern is with the recovering of our Baptist heritage here on the MS Gulf Coast. The Carey-Fuller Conference is named for two men we believe greatly exemplify the best of our Reformed Baptist heritage. 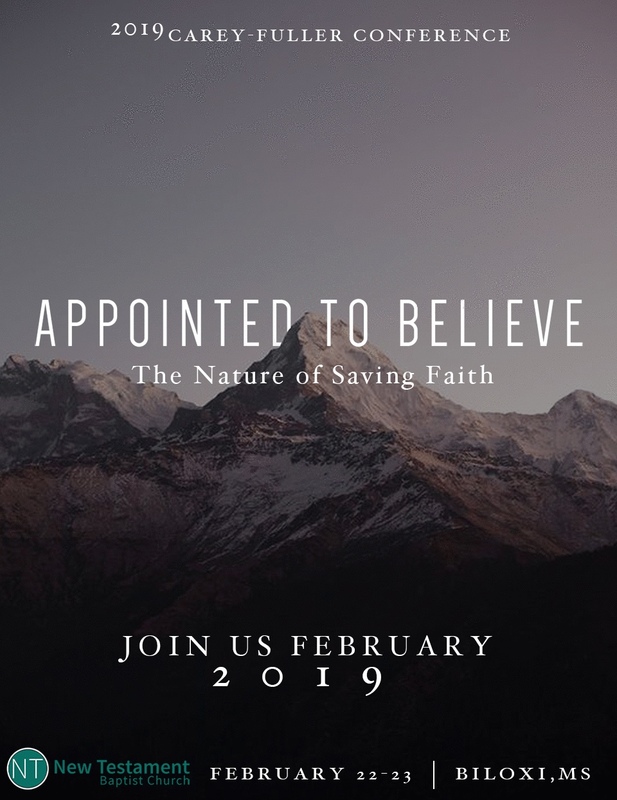 This conference is focusing on the three Es where our Baptist heritage is desperately needed in connection with biblical Calvinism: evangelism, exposition, and ecclesiology. Andrew Fuller was considered by C.H. Spurgeon to be the preeminent Baptist theologian of the 19th century. William Carey was and is still referred to as the father of the modern missions movement. Both of these men were motivated by a warm, biblical Calvinism that provoked them to Christian service. Our desire is for this to be a beacon that helps see the theology and practice of these men be emulated among pastors and churches. Cost: Admission is free. Families are welcome.